LawBreakers was an exhilarating first-person shooter in which even the laws of physics can be shattered, creating intense gravity-based combat. The icons for Lawbreakers are intentionally designed to be readable at any size, against any background, and be as culturally neutral as possible for maximum comprehension. Each icon has three styles depending on where they appear in the game. 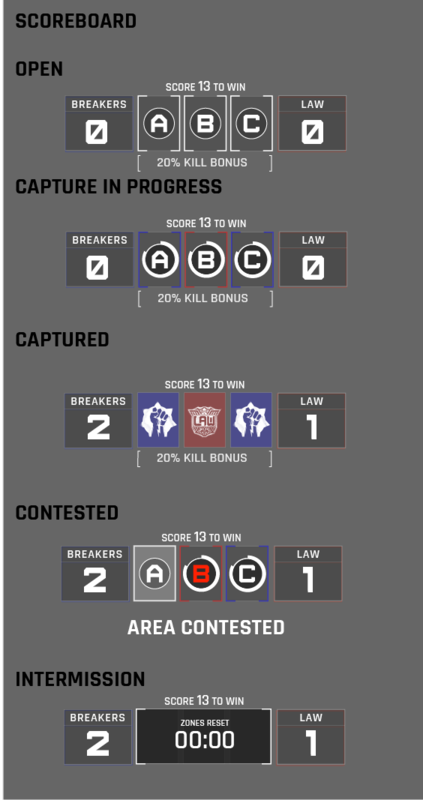 Turf War is a mode in Lawbreakers where the players capture zones to win points, the team that reaches the set number of points first wins the match. When the player kills another player during intermission, a bonus is added to their capture time in the next round. 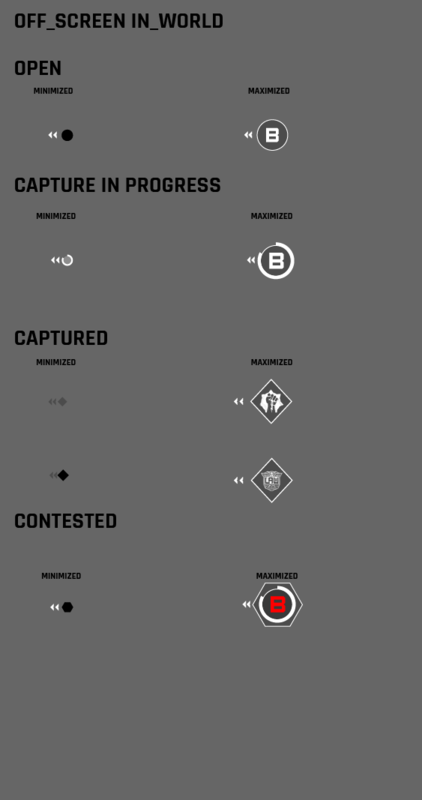 That’s a lot of information to convey in a short period of time, when creating the game mode HUD there was a lot to consider. I began by laying out the different major states of the game and what information needed to be communicated at that time. There’s a lot of things that need to happen quickly so visually communicating ownership of a zone in both color and symbol language was the highest priority. 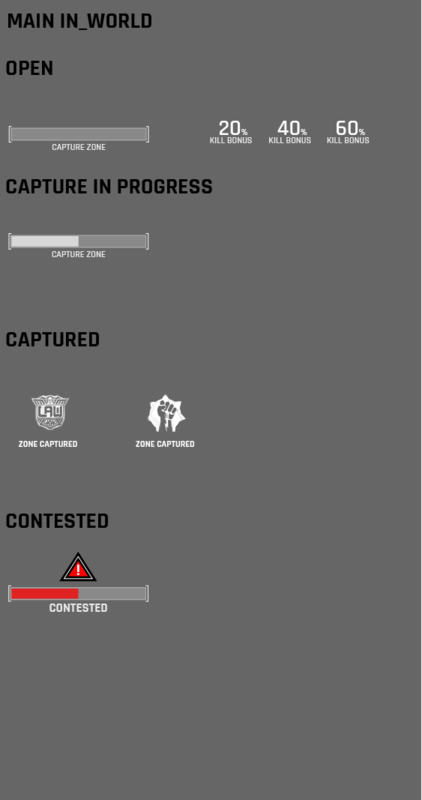 The main score panel was an important piece, but there also needed to be in-world markers that told the player the status of any zone at any given time. After that, a full scale mockup in After Effects to get down the timing and VFX. This is also used to show to the UI and Design teams to get feedback and iterate as necessary. Once approved, the design goes into UMG and undergoes further testing and iteration.